Many occupations require the right type of work boots, but few more so than the roofing industry. You want the best work boots for roofing you can find. This job places you at risk on a regular basis. Not only is there the hazard of working high off the ground, but poor weather conditions can also increase the risk of slips and falls. Investing in a good pair of roofing boots is paramount for your safety and comfort. Let’s find out why you need boots designed for roofing, what to look for in them and our top picks. These leather roofer boots have a wedge slip-resistant outsole, designed to allow good traction. Shock absorption is provided by a cushioned insole with Poron, and stability from a composite shank. Toe-to-ankle lacing holds these boots firmly on the foot. Irish Setter from Redwing makes this comfortable, supportive boot with waterproof leather uppers and a slip-resistant rubber sole. There is also a removable polyurethane footbed. The soles are resistant to electrical hazards and can withstand heat up to 475 degrees Fahrenheit. A wedge design sole provides more sole contact with the roof for traction, and is slip and oil resistant. Leather uppers, a rigid arch support, and Timberlands anti-fatigue technology keep your feet comfortable. A 5.5-inch shaft gives support to your ankles. 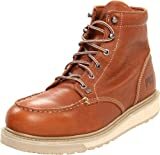 These leather boots are durable and give good support on the feet and ankles. A thick rubber Goodyear welt sole provides traction and a Climasphere liner keeps feet dry and cool. The ankle is well supported with a 6-inch shaft and padded collar, and they are electrical hazard protection rated. Cougar paws patented boots were designed by a roofer. They are made from flexible smooth leather and have a full lace closure, with a security band preventing slipping on loose laces. Peak line pads attach to the slip-resistant soles to absorb roof heat. This is a roundup of our choice of the best roofer boots. Thorogood shoes and boots are made by the Weinbrenner Shoe Company. The firm has been producing work boots in the U.S. for over a century. The American Heritage boots are designed specifically with roofers in mind. They’re made from oil-tanned leather and come in sizes 7 through to 14, in medium and wide fittings. These boots have triple stitched uppers and rivets placed along the stitching line for reinforcement. The top of the boot is ankle cut, giving your leg more airflow mobility without compromising support. The laces are from the toe to ankle, providing a firm fit. The inner soles are cushioned. An extra, removable insole made from Poron provides more cushioning and good shock absorbency. This keeps feet comfortable when treading the tiles on a roof. The outer sole is made from polyurethane Maxwear. It is wedge shaped and oil and slip resistant. The Goodyear welt construction provides grip, and a composite shank gives the foot stability, giving these boots traction on all types of roofing surfaces. This video from manufacturer shows you how Thorogood boots are made. Laces from toe to ankle for improved fit. Not rated for electrical hazards. Sizes run large and narrow. This boot has been designed for roofing, with a wedge-shaped, non-slip sole, toe-to-ankle laces and cushioned insole. Made in the USA, it has good traction and comfort. Irish Setter forms part of the Redwing brand. The company has been making work boots which are sturdy and hardwearing for over 100 years. The russet red color of the leather used inspired the name of this line. These boots are crafted from Trout Brook leather, taken from the hides of America-raised steer. The handcrafted full-grain leather is durable and resists water naturally. It is triple-stitched for added strength and Goodyear welt to the sole. The boots come in widths from medium through to extra wide, and sizes 8 through to 13. The 5.5-inch shaft gives good ankle support for stability and solidity. The boot opening is 13.5 inches around. Working in the heat of summer is no issue for these boots, with their thick rubber EVA soles with traction tread for slip-resistance. They can withstand heat up to 475 degrees Fahrenheit before melting. They are also resistant to electrical hazards and meet ASTM standards. A non-woven nylon lining and a polyurethane insole provide comfort. Antique brass eyelets give the 6-inch lace-up panel a stylish look. The company offers a six-month warranty against defects in workmanship or materials. They will either repair or replace the boots. This video highlights the features of these boots. Made from durable leather from the USA. Triple stitched for extra durability. Some find the sole cracks after between six months and one year of wear. Made from American leather, this classic work boot is triple stitched for strength and durability. Heat resistant non-slip rubber soles provide traction on steep roofs. 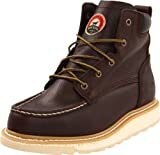 The Timberland name is synonymous with good quality leather boots. These work boots are no exception to that rule. Available in sizes from 7 to 15, in medium and wide fittings, the sizes are reported to be about a half size too big. This is something to check before ordering. The full-grain leather uppers are rugged and durable. They have a soft toe for comfort. Dual-density, anti-fatigue technology provides shock absorbing properties. Antimicrobial treatments keep feet fresh and odor free. A Goodyear welt construction ensures the soles and uppers are long lasting. The rubber outsole is abrasion, slip and oil resistant. The wedge design ensures maximum contact of the sole of the boot with the roof. Protection against electrical conductors, apparatus or parts and live electrical circuits is built in. There is also a lightweight EVA insert in the midsole, for support and comfort. Each boot weighs 1.58 pounds, making them slightly heavier than some other roofing boots. Timberland offers a 30-day comfort guarantee, on production of your receipt, if you find they are not more comfortable than other boots. Cushioned antimicrobial inners for comfort and freshness. Wedge shape sole for maximum surface contact. Full grain leather upper for durability with Goodyear construction. Slightly heavier than some other roofing boots. Could take a little while to wear in. This boot has a full-grain durable leather upper and non-slip sole. Goodyear welt construction makes them long lasting and antimicrobial treatment keeps them fresh. 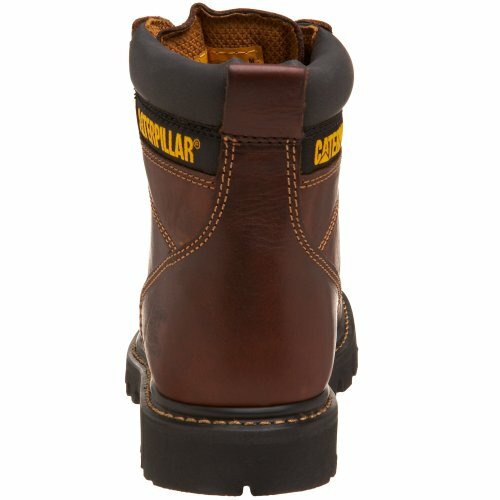 Caterpillar applied their expertise in mechanical machinery tracks to the soles of these work boots. Tried and tested, they have been used on their work boots for over 25 years. Supportive and functional, the leather uppers are available in brown or tan. They come in medium and wide options, and sizes from 5 through to 13. 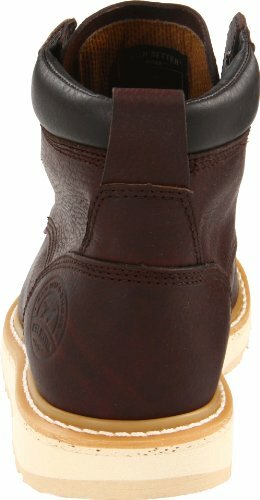 Goodyear welt construction gives flexibility to the base of these boots while ensuring they are durable. They have a mesh lining with a climasphere insole, which works together with the leather to allow feet to breathe. The 6-inch shaft with a padded collar hugs your ankles and provides support and stability. Working on roofs requires good traction—these boots have a rubber sole with slip resistance to help you keep your footing. A steel shank in the sole gives extra balance. They are rated for protection when working with electrical hazards up to 600 volts open circuit in dry conditions. Range of sizes and colors, starting at a size 5, suitable for women and men. May take a while to break in. Suitable for men or women, these boots come in a range of sizes. The soles are anti-slip and electrical hazard rated. Leather uppers and a Climasphere insole make them breathable. Dan Cougar, the founder of this brand and a roofer, focuses on producing tools, accessories, and boots for people in the roofing trades. Cougar Paws roofing boots might not quite give you cat-like agility, but they will provide stability and traction when working on a roof. The outsole has a patented Peak Line pad for grip, which also protects against heat. This pad is removable and replaceable via strong velcro. When the pads wear out, you can replace them with a new pair. 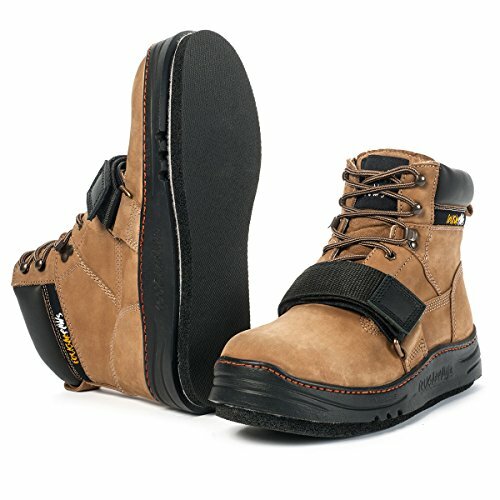 A unique feature of these roofing boots, the sole holds well on steep roofs, metal roofs, and shingles. The pad also protects the roof from damage, which is an important aspect. The boots are ASTM rated for slip resistance. Soft leather uppers on the boots feature a 6-inch shaft and a cushioned pad to support your ankles. A padded interior lining absorbs heat and keeps feet cool and comfortable. The toe area is reinforced for protection and durability. The boots have a lace closure with a protective cover, to prevent tripping over loose laces. This video from Integrity Roofing and Painting shows you the Cougar Paws in action. Slip resistant with good grip via replaceable Peak Line pads. Not true to fit and come up about a half size too big. Designed by a roofer for roofers, the Cougar Paw has a unique slip-resistant pad for grip on slippery roofs. The laces have a protective cover to prevent tripping hazards. What Are the Hazards of Roofing? Working in roofing presents several potential hazards. Having the right boots can help deal with these setbacks safely. Loose debris can be scattered over a roof, such as branches and leaves from trees or small stones. Add to that the tools and building materials, and there is a potential for tripping or slipping and losing your footing. The weather is also not your friend in this type of work. Hot sunny days can make roofing materials very hot, especially on metal roofs. Rain and snow will make roofs slippery. Electricity used in various types of construction can pose a risk of electrocution. 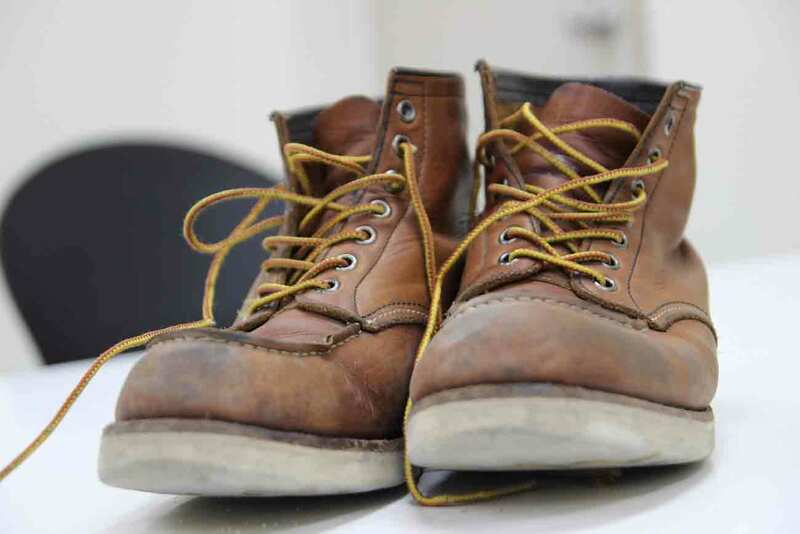 Chemicals can damage objects, including boots. 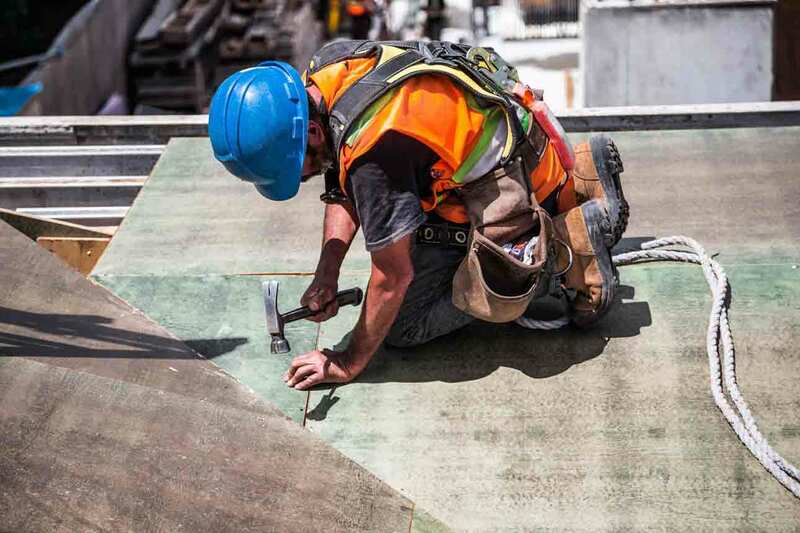 The OHSA recommends work boots be worn for many aspects of roofing. One other hazard to consider is the wear and tear on your body. 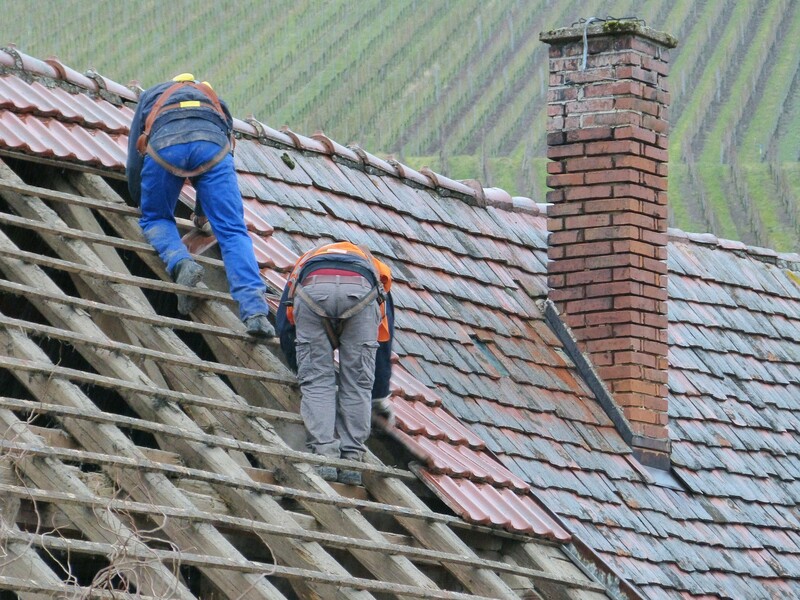 Roofing involves being on your feet for long periods of time. You will spend all day kneeling, climbing, standing, lifting and walking. All these activities can take a toll on your feet, legs, ankles, and back. What Comprises Good Roofers Boots? Roofing boots are going to be put through their paces on a daily basis. They need to withstand the constant abrasive effects of shingles, tar, and other roofing materials. Durable boots with good soles are key. You also need comfort and support for your feet and ankles during the long work days. The most important factor has got to be traction and grip. Roofs can be slippery places, not only that, they are high off the ground, uneven and, usually, sloped. 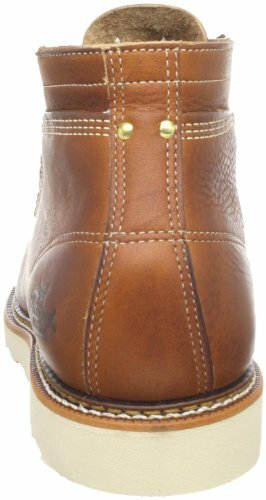 The soles on roofing boots need to be of a good quality and have a good tread design. Choose ones that have a thick rubber or synthetic sole which will maximize contact with the roof. Make sure there is a good tread and slip-resistant design. Asphalt shingles are rough and can act like sandpaper on your boots. Add to that the effects that hot tar can have if it falls on your feet, and you can see why you need something durable. Leather is thick, naturally resilient, and can withstand heat in the short term. Electrical equipment, wiring, and overhead power lines pose a risk for roofers. These hazards can be present even if you are not aware of them. A thick rubber sole will help ground you should you come into contact with live electricity. 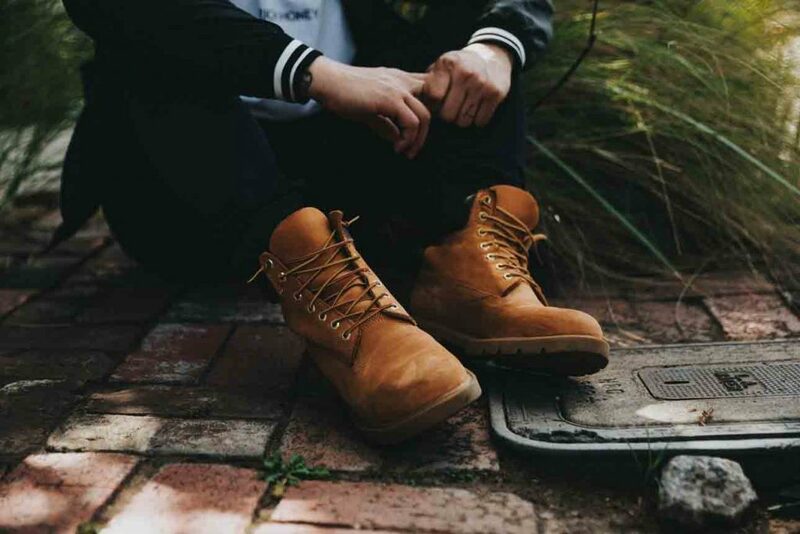 While it is not a good conductor of electricity, not all rubber soles are equal—look for boots which have been rated as safe for use with electrical hazards. The last thing you want, when navigating a roof, is to walk out of your boots. Loose fitting or pull-on boots are not a good option. Look for boots which have secure lacing from the toes to the ankle, to provide a good secure fit. Some boots even have straps or loops which make sure your laces don’t come undone and trip you up. It’s likely you will be wearing roofing boots for many hours a day, and the work you are doing will be strenuous and physical. The elements can be fickle and affect you in different ways. The sun can heat up both the roof and your feet. Check for breathability for your feet, and antimicrobial properties to reduce odor. Wet conditions can result in soggy feet, so waterproofing is another option to look out for. It might be you decide you need two pairs of boots, one for fair weather and one for rain and snow. 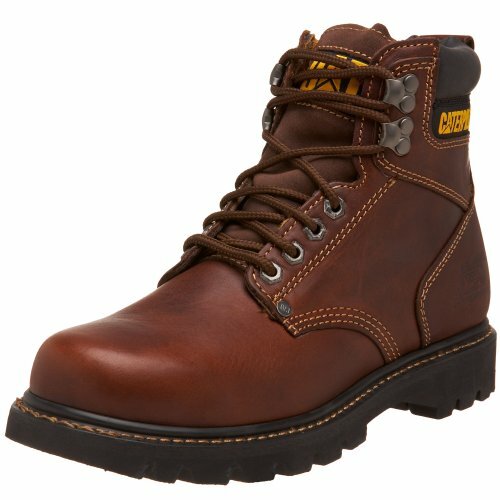 Can I Wear Steel Toe Cap Boots for Roofing? Yes, you can wear steel toe cap boots for roofing, however it’s a good idea to make sure they are rated for electrical hazards. You might also find these type of boots are less flexible and restrict movement in the toe area. Do I Have to Wear Roofing Boots with Rubber Soles? There are features in roofers boots that you can choose as “nice to have,” but a rubber sole is really a must. 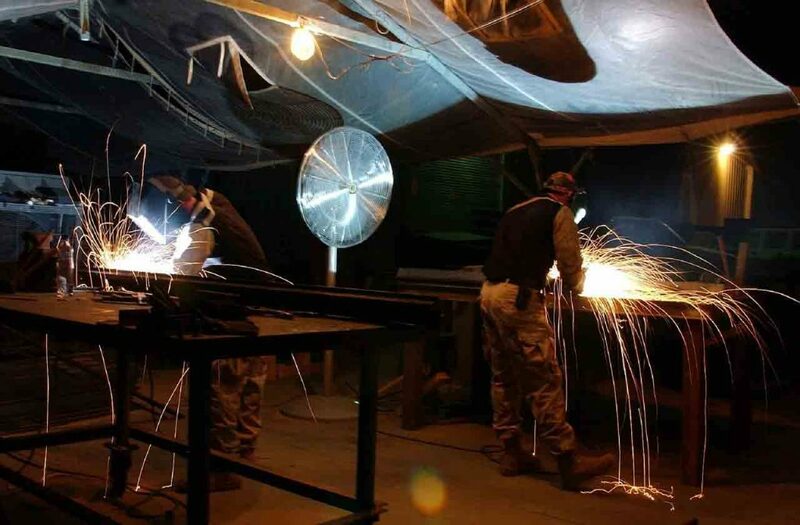 They will provide better traction on a roof and ground you, to an extent, against electrical hazards. Wedge Shaped Soles vs Traditional Heel, Which Is Better? Both can give you good traction and have slip-resistance. However, a wedge sole has more contact with a surface, and nothing that can catch and cause you to trip. A heel could snag on a loose tile and send you falling. There is no doubt, roofing is a hazardous occupation. As well as the many other safety measures, such as wearing appropriate clothing and using safety harnesses, good boots are essential. All of the boots we have reviewed are suitable for roofers, so the ultimate choice is yours. Both Cougar and Thorogood are designed specifically for roofing. However, the other contenders also have all the attributes you expect from a good roofers boot. They all have excellent traction from rubber soles which is a major factor in staying upright and on top of a roof. They might not make you as sure-footed as a mountain goat, but they will certainly help. We hope you enjoyed our guide to the best work boots for roofing. We would welcome any comments you might have and don’t forget to share so others can benefit and stay safe. I like that you mention how it’s important to find durable boots that are naturally resilient to protect your feet while working with hot tar. Choosing the right gear and equipment would be important to ensure that you can stay protected in order to prevent injury, damage, or any other problems. 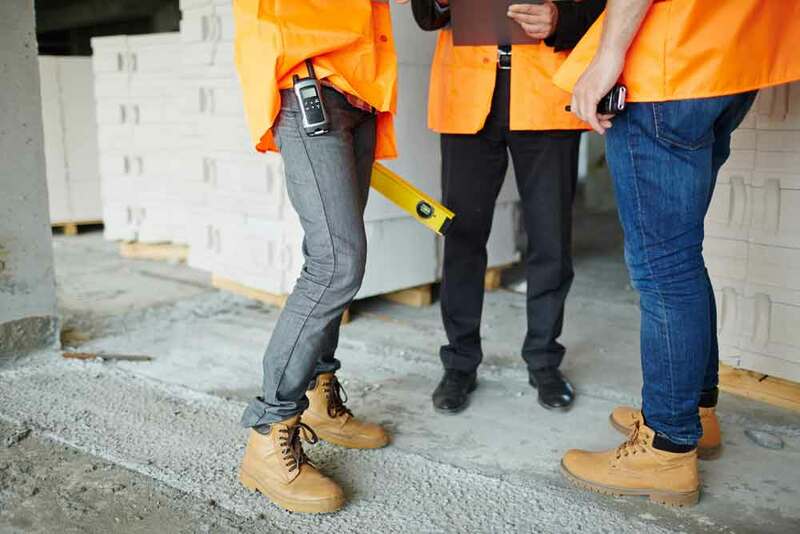 In order to find durable boots and other equipment, it might help to find ones specific for the type of work you’re doing, such as a hot tar hose, so that you can prevent issues and complete your project with quality results.